MAX has received a record breaking 64,000 votes from viewers and is teasing some of the song titles vying for #1. 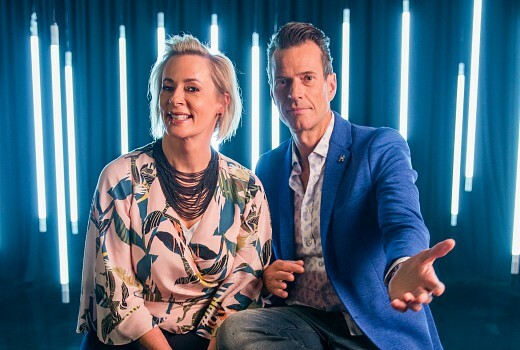 The Easter countdown The 1000 Greatest Songs of All Time begins on Friday with the tireless Amanda Keller and Brendan ‘Jonesy’ Jones presenting a list also compiled from industry experts, chart ratings and song popularity. “It’s a tough one, there’s a lot of buzz around Bohemian Rhapsody because of the movie, but it could be AC/DC’s Shook Me All Night Long,” said Jonesy. Music legend Rod Stewart’s choice of greatest song is Sam Cooke’s ‘A Change Is Gonna Come’, while Troye Sivan’s choice of number one song, Amy Winehouse’s ‘Love Is A Losing Game’ is close to his heart. “I think this song is one of the most real and heart breaking songs I have ever heard. It is a song that made me really want to start song writing, just the lyrics, listen to the lyrics! I think she is an absolute legend,” he says. British singer/songwriter Lily Allen has nominated her greatest song as Toni Braxton’s ‘Unbreak My Heart’. “It is my karaoke song and it really sounds like I am swinging a cat around the room when I get to those high notes,” Allen says. Australia’s ARIA Award- winning artist Guy Sebastian votes for Julian Lennon’s ‘Saltwater’. “I don’t know why it gives me so many feels, but my favourite song of all time would have to be Saltwater by Julian Lennon. The melodies are just genius, stunning. The apple doesn’t fall far from the tree,” Sebastian says. For more top picks from artists such as, 5 Seconds of Summer, Paul Kelly, Joan Jett, Vance Joy, INXS, Hanson, Amy Shark and more, tune in to The 1000 Greatest Songs of all Time, this weekend on Foxtel’s MAX to see who got it right and who got it wrong. Begins 12pm this Friday April 19 and continues until Monday April 22 on MAX.